With all the miles your Toyota covers on a regular basis, it becomes more and more susceptible to exterior damages and imperfections from flyaway debris and small objects. 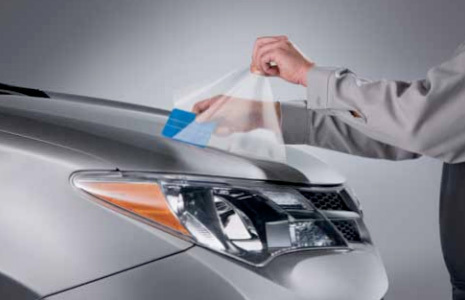 Along with the potential dirt and roadway debris damage your Toyota faces, UV rays can also fade exterior paint and detract from its luster and attractive appearance. 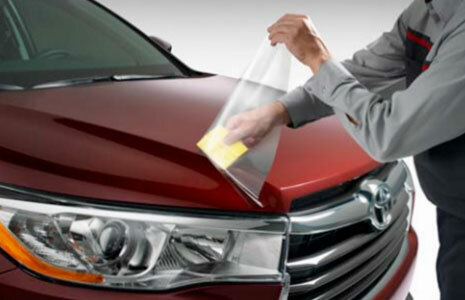 Toyota Clear Coat Paint Protection is manufactured from durable, virtually transparent urethane and creates a subtle, yet highly effective, barrier between your vehicle and damaging exterior elements, especially more vulnerable areas, like the front grille.